To the whisky aficionado there can be no greater calling than to be a whisky judge. Imagine the prospect of making a living by spending your time evaluating the world's whiskies. International beverage companies ship pallets of their finest offerings to your home for evaluation, while you spend indolent days discussing the finer points of a dram with like-minded judges. Then you wake up. If it sounds too good to be true - it's because it is. Being a whisky judge is much more mundane and actually a lot of work. Recently I spent three days judging spirits for the International Wine and Spirits Competition (IWSC). 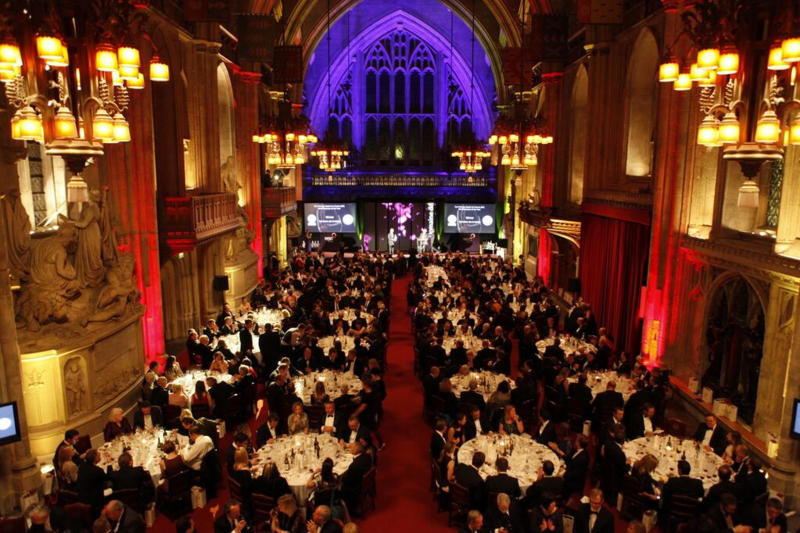 The IWSC is an annual wine and spirits competition designed to select the world's best wines and spirits. Winners receive one of five awards: Bronze, Silver, Silver Outstanding, Gold and the highest award of all, Gold Outstanding. The organization was founded in 1969. Thousands of submissions are received each year from more than 80 countries, in 1,500 different categories, covering wines, spirits and liqueurs. The IWSC uses around 250 specialists, drawn throughout the world from the wine and spirits industry, media and academia, to conduct the judging. On average it takes six months to evaluate each year's submissions. 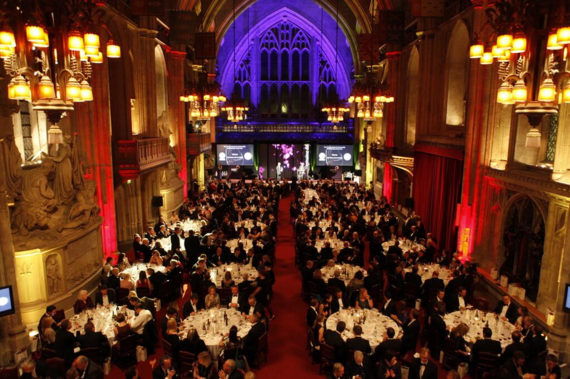 The highly coveted awards are handed out at the annual IWSC banquet held at the City of London Guildhall during the month of November. The judging is organized into panels. My first day was devoted to world whiskies, with offerings from such disparate places as India, South Africa, Ireland, Italy and Bulgaria. Yes, they make whisky in Bulgaria. The second day was devoted to Scotch whiskies, while the third day featured Cognac, Armagnac and Calvados. My first panel evaluated 79 whiskies, a higher number than average, organized into 39 separate flights, grouped by like characteristics. A dozen blended Irish whiskies were in one flight, ditto for a similar number of Indian malt whiskies. The whole session lasted four hours, followed by lunch. Typically, a panel will evaluate about 60 samples a day. Samples are evaluated against other submissions in the same class. That means a 3-year-old whisky (YO) is judged against other 3 YO whiskies in its peer group. You can be a Gold Outstanding 3 (YO) whisky compared to your peers, even though you might still lack, for example, the flavor or aromatic complexity of a 15 YO that didn't medal in its peer group. Neat or with water? That's a matter of personal preference. Participants from the distillation side of the business seem to almost always add water, anywhere from a drop to a third of the sample size. Others are more varied. For my part, I prefer not to add water. From a judging standpoint, there seemed to be little difference in the scoring between those judges that added water and those that didn't. Tasting 60 or more whisky samples in four hours doesn't give you much time to savor any particular offering. Pity, because some were quite superb. Mostly its taste, spit, write and repeat. No, you never swallow. No matter how good the whisky is. You'll absorb plenty of alcohol just swishing the whisky about in your mouth. No point compounding that by swallowing also. Its considered very bad form to get tipsy at a whisky judging. There is one exception. I do have a tradition, however, of swallowing the best dram in the last round. Invariably this is always a flight of ultra-aged offerings. My first panel consisted of seven judges - two from South Africa, two from Europe, two from Asia and one (me) from North America. This was typical of the other panels also. You can't get more international than that. All judging is done blind. Each sample comes with a number. All you know is the country of origin, age and basic characteristic, i.e., a blend, a single malt or a grain whisky; or a peated or sherried one, and so forth. Are judges partial to whiskies from their corner of the world? If they are, there wasn't any evidence of that. Indeed, what was remarkable was how close and consistent the scoring was. In virtually every case most scores were within 10 percent of the average mark. Not surprisingly, from time-to-time there would be disagreements. Usually these revolved around perceived faults. Was there a little too much sulfur in a particular sample? Lots of room for disagreement there since an individual's sensitivity to sulfur can vary quite dramatically. Or was that last sample a little to tannic? Yes, whisky can get tannic if you use a lot of new barrels in its maturation. This has increasingly become a problem with the use of "bespoke," or custom made sherry casks, that are used for maturing or finishing whisky. There is much higher demand for sherry casks in the whisky industry than the sherry producers in Jerez, Spain, can supply. Some distilleries simply make their own, "renting" the sherry to condition casks for a period of several months to several years, and then returning the sherry to the producer and keeping the casks for their own use. The problem is that before a cask is used for maturing sherry, it would traditionally be used for maturing wines for one or more decades. By the time it is used for maturing sherry, the influence of the oak wood has been dissipated and the wood itself is considered "neutral." Newly made casks, on the other hand, are anything but neutral, and even if they have held sherry for several years, can still contribute significant wood influence, especially tannins. There's one more thing about judging whisky. You drink a lot of water in an effort to stay hydrated. In fact, you drink a lot more water than you do whisky. In a typical four-hour session, you will easily consume two to three liters of water. That means as the day wears on you are constantly excusing yourself to go to the bathroom. Frequent "pit stops" are an inevitable consequence of being a whisky judge. As far as the fringe benefits of being a whisky judge, well there aren't many. Forget about beverage companies shipping pallets of their finest whisky to your home. You might get the odd bottle now and again. This is usually their higher volume, mainstream offerings that they want to promote. The really rare stuff rarely goes out to critics or judges. Oh, and as far as making your living being a whisky judge, better to keep your day job. 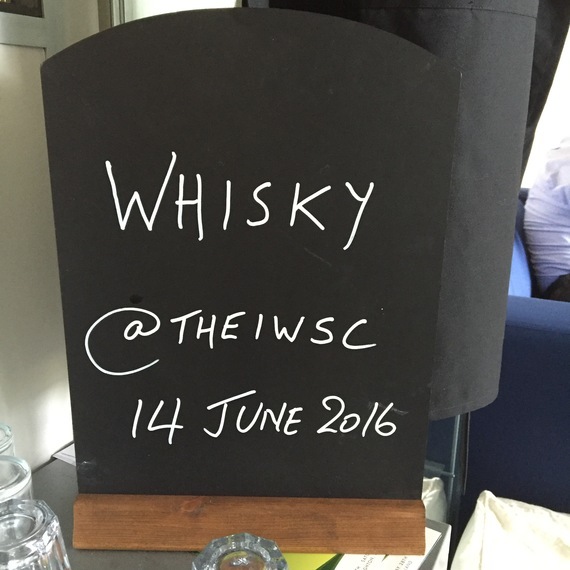 Whisky judges are rarely if ever compensated, although the IWSC is a competition that does remunerate judges on a per diem basis. Mostly you do it out of passion for the product, to see old friends in the trade and to stay abreast of new trends in the whisky industry. It's a lot of work, but you also learn a lot, and it's also a lot of fun. Sláinte!